If you rely on right principle in carrying out what is good, one’s fine reputation will spread throughout the ten directions. Thus the king’s reign will continue without interruption, whereas the king’s wealth and happiness will grow ever greater. The causes of death are numerous (of a hundred and one kinds), those that sustain life are few. Because those causes for sustaining life may become the conditions of death, one should therefore constantly cultivate goodness. If a person is constant in the practice of goodness, and if this happiness thus gained is shared equally between self and others, this happiness flowing from goodness is thereby perfected. For those who by their very nature rely on the Dharma, whether lying down to rest or awake, they are always happy. They see auspicious occurrences in their dreams because their inner are free of any faults or evils. If you see to the care of your parents, and respect those honored in your own family, respect good people, make good use of material wealth, possess magnanimous patience, speak gently, refrain from devisive speech, speak the truth and abide happily in the company of others—These are the nine causes of becoming the ruler of the gods. Therefore, devote yourself always practice Dharma to the very end of your life. It is on account of past practice of these nine Dharmas that the rulers of the gods gained their imperial stations. For ages they abide within the hall of Dharma, and, even in the present, constantly proclaim these very practices. If you lead others to develop bodhicitta, and then make it firm, the merit of the bodhisattva becomes as massive as a mountain. And his own resolve on bodhi becomes enduringly solid. On account of faith, you abandon the eight non-conducive factors. Through moral precepts, you have positive rebirths. Through developing realization of emptiness, you achieve goodness free of negligence. By absence of deceptive, you gain the mindfulness root-faculty. 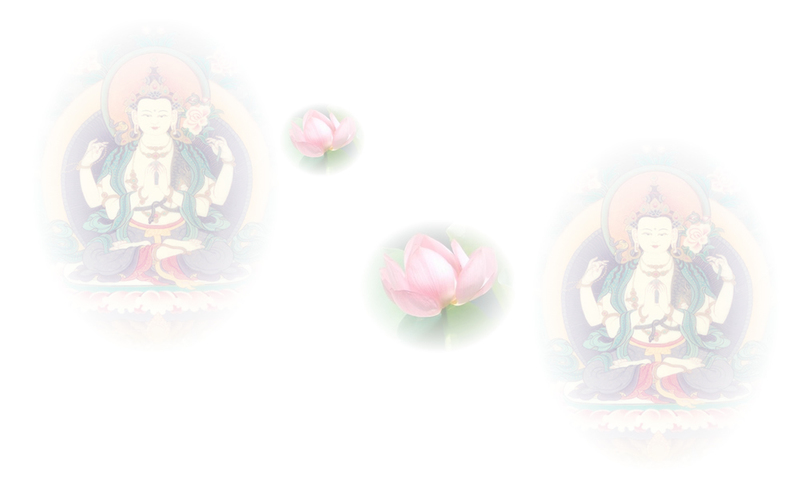 Through reflection, you will realize the Dharma’s meaning. From protecting the Dharma, you gain knowledge of past lives. From giving others the opportunity to hear Dharma, or from not presenting any obscurations to those wishing to hear it, one will succeed in directly encountering the Buddhas and quickly fulfill with one’s wishes. Through non-attachment, your endeavors are bound to succeed; through non-miserliness, your material wealth increase; through abandoning arrogance, you become bound for superior rank; through tolerance for the Dharma of emptiness, you attain the Dhāraṇi.